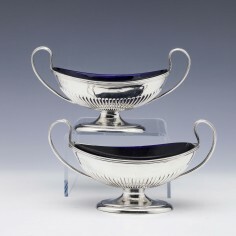 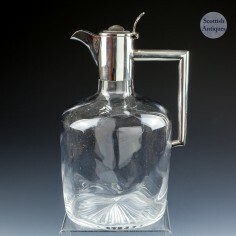 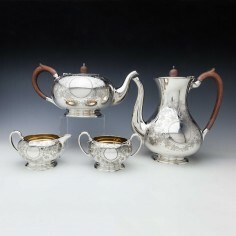 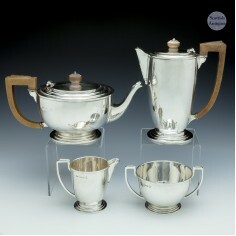 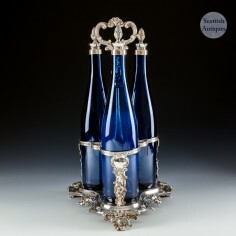 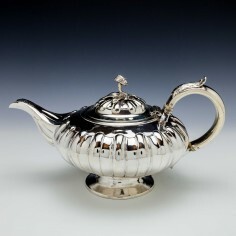 Electro silver plated decanter stand with Bristol Blue cylinder decanters which have Pineapple finials. 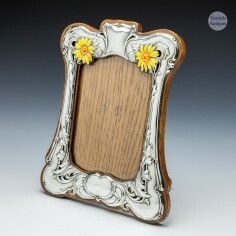 In excellent condition and would still make a highly usable as well as decorative item. 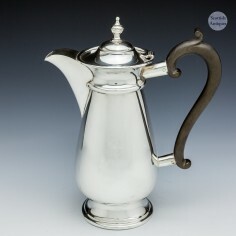 This has sufficient capacity for two cups of tea. 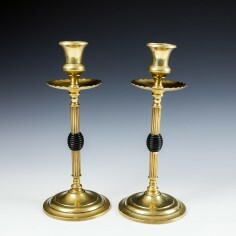 All the bachelor or bachelorette ( thats a PC spinster) will now require is two cups, two champagne glasses and a candle to complete the antique seduction kit. 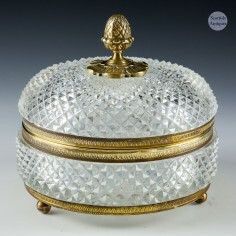 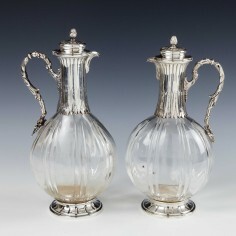 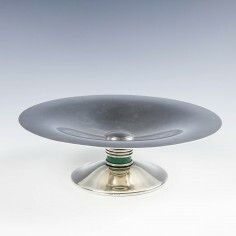 The glass may possibly be Baccarat, however, very similar styles were produced by Saint Louis and others. 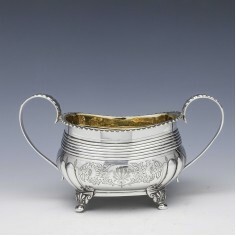 At Scottish Antiques we cater to both collectors and investors and those who wish to use their antiques, in fact we encourage just that. 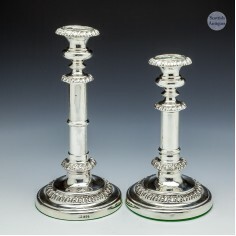 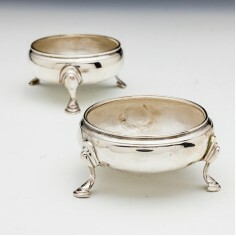 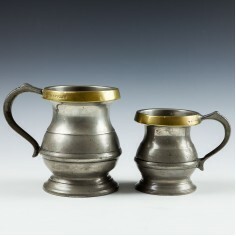 A happy marriage of two silver salts by two makers made five years apart. 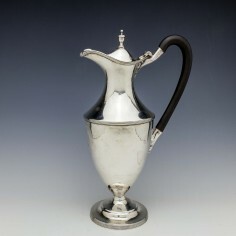 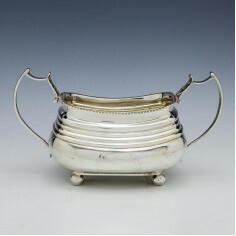 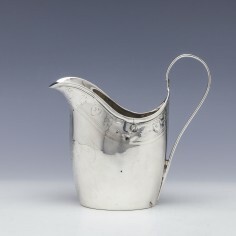 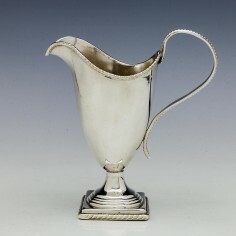 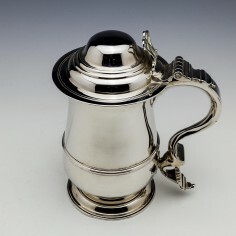 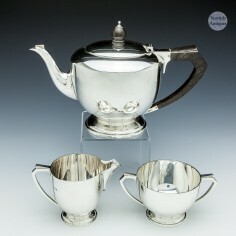 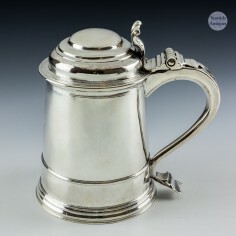 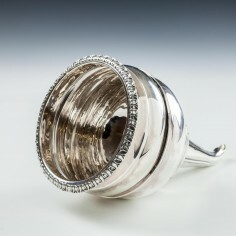 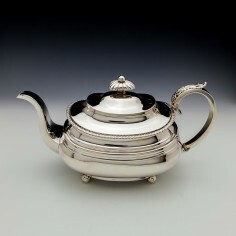 A Thomas Wallis of London sterling silver tankard with domed lid. 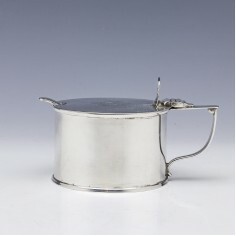 One and three quarter pints capacity, two pints to the brim , seven or eight gills. 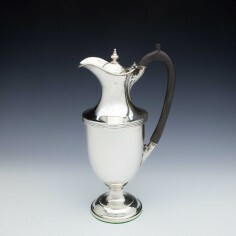 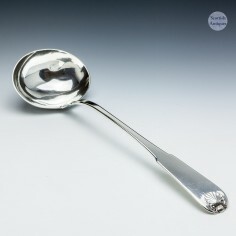 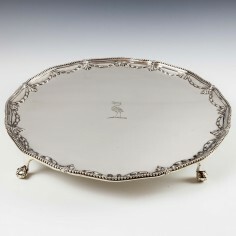 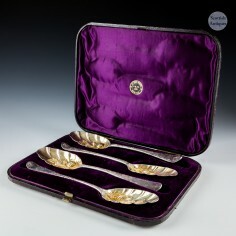 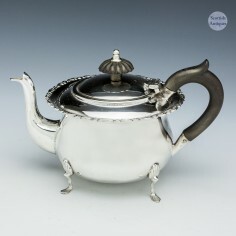 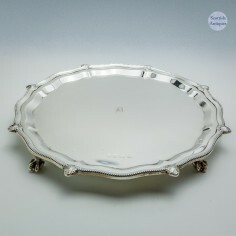 This has no monograms or crests and is a very good gauge of silver.